Is Second Chance getting a second chance? In an interview with Entertainment Weekly, executive producers Howard Gordon and Rand Ravich discussed the status of their sci-fi cop drama. The series premiered on January 13th. Second Chance stars Rob Kazinsky as Jimmy Pritchard, an irritable sheriff who is killed at age 75. He gets another chance at life, however, when he’s resurrected as his younger self. The series went through several changes before its current incarnation. Based on Mary Shelley’s Frankenstein, it was previously titled The Frankenstein Code before being changed to Lookinglass before being changed to Second Chance. Then, in October, FOX cut the episode order from 13 to 11. The premiere of Second Chance did okay in the ratings, receiving about 4.7 million viewers. What do you think? Did you watch the premiere of Second Chance? Would you continue watching the series? More about: FOX TV shows: canceled or renewed?, Second Chance, Second Chance: canceled or renewed? 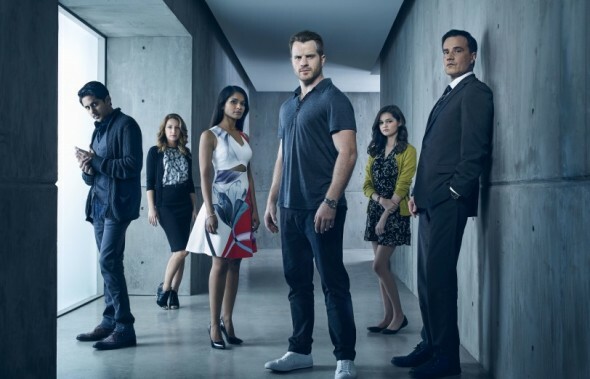 Second Chance: Cancel or Renew for Season Two? Just found this show on HULU. Really enjoyed it and would watch a second season gladly. What a shame … this show was one that should have continued … it was really great!..,watching them again on HULU … yeah!… why is it the ones you can really sink your teeth into get cancelled?…. Thus one was a keeper.. I enjoyed second chance very much and was disappointed to hear it had been cancelled. Why is it when you start enjoying a programme that TV networks cancel. I wish a cable channel or one of those new online networks takes it over. Would like to see more seasons. Its getting ridiculous the amount of good shows canceled, I was looking for second chance this year and then when I googled it saw it was cut. The amount of tripe left on air is awful, I say get it on Netflix as TV stations really haven’t a clue. Fans can come in on season 23 if a show is given a chance.